Nothing says holiday style like a little (or lot for that matter) sparkle. I love this time of year because it gives grown women a good excuse to wear all things that sparkle and shine. Yes ladies, that even includes glitter! 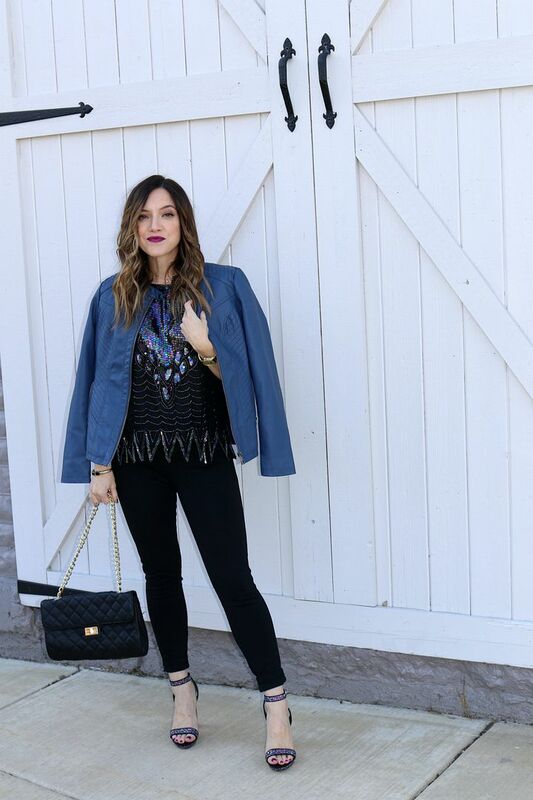 The only new item in this outfit are the shoes, and I scooped them up on Black Friday. Sadly, they sold out, but I will absolutely let you know if I see they are re-stocked at any point. I got lots of questions over on my IG when I posted a pic of them last week and I can't say I blame you. I literally bought them a day after I found out they existed! lol Now, let's chat about the rest of this outfit, why it's OK to wear other season clothing, and why this top is hands-down one of my favorite (if not my absolute favorite) pieces in my wardrobe. 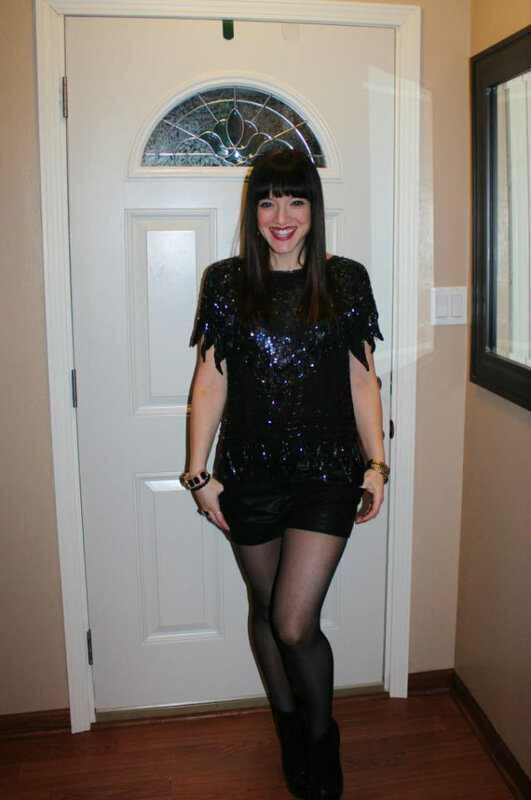 You may recognize these pants from my Luxewear post back in early October. They are still my favorite black leggings and I actually got rid of most of my other black pairs because these are so great. I'm not big on keeping lots of the same item.... as in, once I get a new something, an old something has to go. 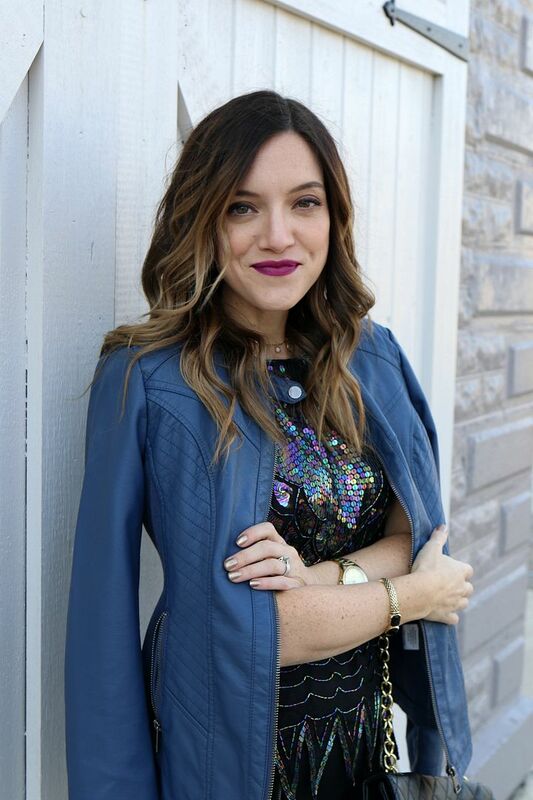 This faux leather jacket is from last winter and I love the blue! So fun to have the standard black and brown, but a few extra colored jackets never hurt anyone. This quilted bag was picked up almost four years ago now at Forever 21. Yes, I found this beauty for under $25 and I remember being so excited because it looked like my dream Chanel bag. As far as accessories go, the watch has been spotted on the blog as early as January of 2011 and the necklace has been my go-to for just over two years now. My point? 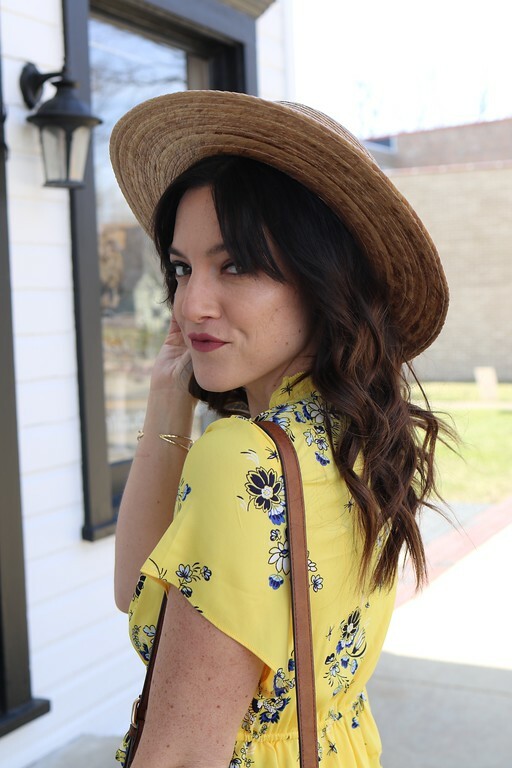 As a blogger, I am encouraged to shop often and wear lots of of new items so you guys (my readers) can see them styled and then want to shop too. Sure, I am gifted clothing monthly (and I will continue to wear items from the brands that I love and want to share with you), but we don't have to wear new all the time. It's not realistic and honestly, I want to wear what I want to wear, even if it's not this season...and so I shall! 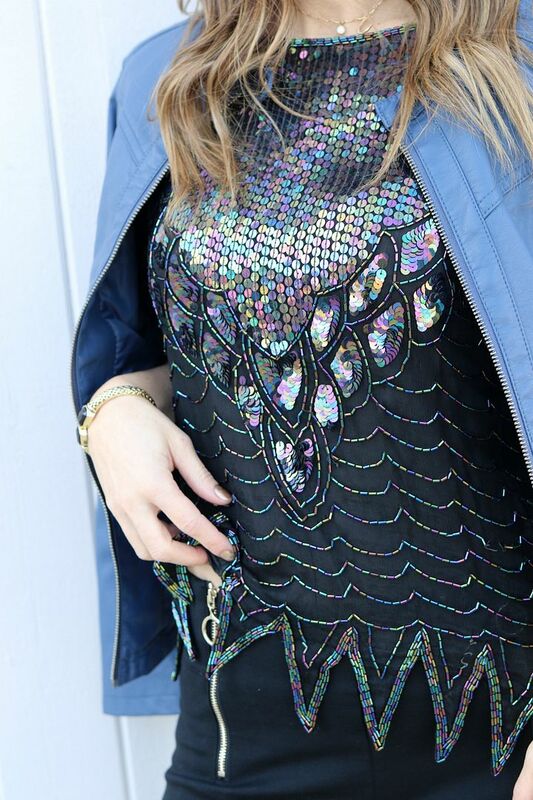 Now, let's discuss this sequin blouse. If you are a long-time reader, then you may remember how I styled it back in late 2013 (photo at the end of the post). This top belonged to my grandmother which is why it is one my all time favorites. I have worn it five times in the past four years, mostly because I want to keep it forever, and in great condition, but I can't tell you how happy I feel when I have it on. Can I tell you where to shop to get your very own? Nope! ;) I'm not trying to sell anything here, just share an outfit the I really loved wearing. Like the old days of blogging...and I promise to do more of that here on the blog as well. 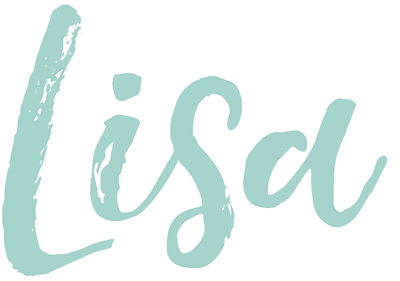 In fact, a lot of changes will be happening on both of my blogs in the coming months and I can't wait to tell you all about it in the next few weeks. In the meantime, don't ever let anyone dull your sparkle...I'm not going to!